Citation: Many – if not all – scientific publications are based on previous work. The publications that have been used to write a paper are generally compiled in a reference list at the end of the publication. References to other publications are called ‘citations’. A citation is used to measure the impact of an article (the more an article is cited, the higher its impact), and the sum of all citations is used to calculate impact factors. A debate is going on about the impact of Open Access articles and about whether these are cited more than toll access articles. Copyleft: ‘Copyleft’ – originating from the world of Open Source – can be considered as being the opposite of copyright, and stands close to the concept of Creative Commons (Share Alike). An author using copyleft, allows the use and modification of his work, on condition that the derived work can also be used and distributed under the same terms as the original work. Copyright: ‘Copyright’ is the set of exclusive rights granted to the author of an original published work, including reproduction rights, distribution rights, adaptation rights (http://en.wikipedia.org/wiki/Copyright). This is similar to authors’ rights (http://en.wikipedia.org/wiki/Authors%27_rights). Copyright is often confused with or reduced to “the right to take a copy”, whereas the latter is only one small part of copyright. The copyrights can be licensed, transferred and/or assigned, depending on the agreement between author and publisher. . More information on these issues can be found on the OpenAIRE portal and the SURF website. Double Dipping: an accusation often made againgst ‘hybrid’ journals. Althoug individual articles are being made OA, the entire journal remains subscription based, forcing the institution to keep its subscription. Embargo: An ’embargo’ is a period (in general 6 to 12 months) during which a document, deposited in a repository, is not freely accessible. Most often, this is the result of a compromise between the institute, mandating a deposit, and the publisher. Harvester: A ‘harvester’ is a computer programme used by a service provider for the collection (harvesting) of metadata in one or several OAI repositories. Hybrid Open Access: Some publishers allow immediate Open Access to some of their articles on condition that an ‘Article Processing Charge’ is paid. In such journals, two types of articles coexist: those freely accessible and others only accessible through a subscription. Although being mainly responsible for the recent rise in available Open Access publications, ‘hybrid Open Access’ doen’t take away the need for paying subscriptions. Impact factor: The ‘impact factor’ is a measure reflecting the average number of citations to articles published in science and social science journals. It is frequently used to indicate the relative importance of a journal within its field. The Impact factor (IF) was developed by the Institute for Scientific Information (ISI). Recently, alternatives such as the Eigenfactor and the H-index are gaining influence. Also, alternative methods for tracking influence and importance of scientific articles are gaining ground (‘altmetrics’)/ Check this article on Wikipedia for more information. Mandate: Many universities and research institutions have Open Access mandates or mandates for the depositing in the institution’s repository. These stipulate the obligation for researchers and faculty to publish in Open Access journals where possible, to make available their publications in Open Access and/or to self-archive their publications in the institutional repository. A list of mandates can be found on ROARMAP. Mega-journal : online-only open access journal, that covers a very broad subject area and selects content based only on scientific and methodological soundness (or some variation on that statement), with a business model which allows each article to cover its own costs. With these attributes, megajournals are not limited in their potential output and as such are able to grow commensurate with any growth in submissions. See this blogpost for a detailed definition. Metadata: set of structured data describing physical or digital resources. They are an essential element for sharing information about publications and data sets. Set standards for metadata are essential for the interoperability between electronic resources. Metadata are categorized in descriptive, administrative and structural metadata. A widely used metadata scheme is Dublin Core (simplified). Open Sience Data : within the context of scientific publishing, open data refers to the principle of not only providing access to open access publications, but also to the underlying datasets, on which the research is based. Specialized data repositories archive these datasets, and allow linking them to articles, projects, author ID’s and so on. Good starting point is he Panton Principles, a set of recommendations about how to make scientific data ready for publication and available for re-use. 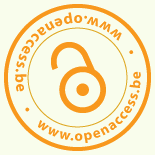 Open Access publishing: Open Access journals provide immediate Open Access to the articles published in them (often referred to as Gold Open Access). There is a large variety in business models and publishing methods. You can find an overview of peer reviewed Open Access journals in the Directory of Open Access Journals . Peer review: process of evaluation of an article – before publication – by a reading committee. Members of this committee are experts in the discipline of the described topic. The purpose of the review is to guarantee excellent scientific quality for the final published paper. While double-blind pre-publication peer review is the most common standard for reviewing, recently journals have been experimenting with other forms such as post-publication peer reveiw or non-anonymous peer review. Platinum Open Access: Platinum open access is a model of scholarly publishing that does not charge author fees. The costs associated with scholarly publication are covered through other means, such as volunteer work, donations, subsidies, grants, etc. Predatory publishers: (contested) term coined by Jeffrey Beall , used to indicate fraudulent Open Access publishers. Repository: a repository is a digital archive that is used to collect and preserve information, such as publications and data. A lot of repositories make use of the OAI-PMH protocol, allowing easy harvesting and interoperability. Suitable repositories can be found on OpenDOAR. Service provider: collect the metadata from one or several data providers, and reorganises them to create (an) added value(s).